“The movie is about a girl who slept with three people, and she doesn’t know who the father is. I wanted it to be about her as a strong woman and a modern woman and not a victim of this. 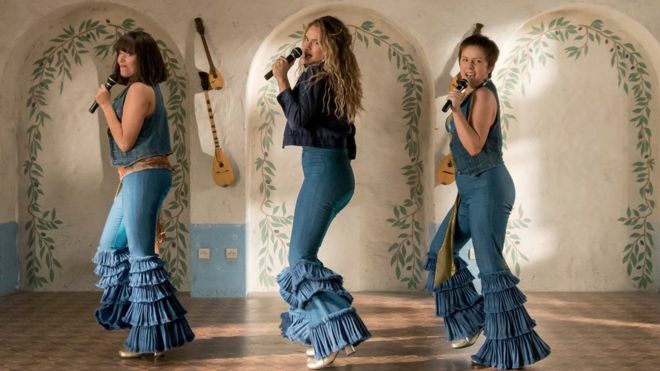 I wanted her to be in control of the situation.” said Michelle Clapton, the costume designer who has swapped her work on Game of Thrones for the surely indistinguishable match Mamma Mia! Here We Go Again. The film follows the 2008 blockbuster based on the musical featuring the iconic ABBA soundtrack. In 1979 young Donna (Lily James), Tanya and Rosie graduate from Oxford University and Donna decides to travel round Europe. It is on this journey she meets Harry, Bill and Sam. In the present day Donna – played by Meryl Streep in the first film – has died and her pregnant daughter Sophie dreams of renovating her hotel while reuniting with her mother’s old friends and boyfriends on the Greek island of Kalokairi. 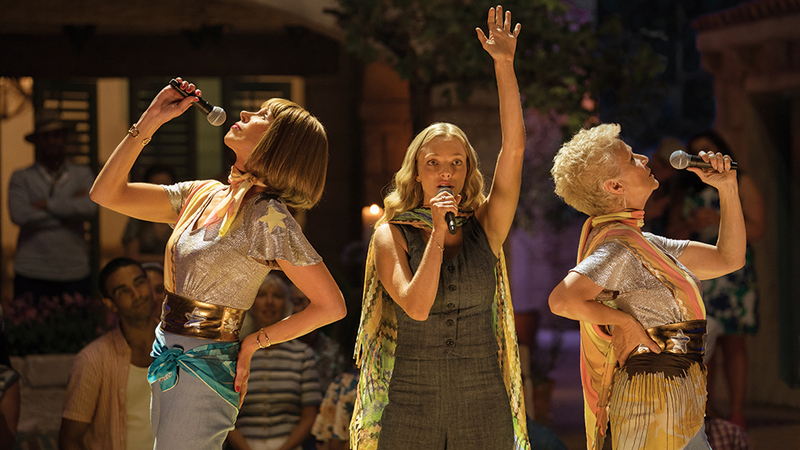 Dressing the new Mamma Mia sequel has presented a variety of challenges in sourcing and recreating looks inspired by one of the 1970s’ hottest pop bands. Part of this, Clapton told Racked, was embracing complex themes of femininty, romance and self-discovery. In a separate interview with Hollywood Reporter, Clapton said that designing costumes suitable for performance in the musical added to the pressure of following the first film’s designer Ann Roth. “Suddenly you have all these hugely respectable actors and actresses and you have to get them into these Lycra costumes and inevitably they have great fun as it’s a release for them. But it was daunting to dress an actor like Colin Firth in Lycra! He was in great spirits about it, but it was still a challenge — fortunately, the cast was strangely agreeable after having done it once before,” she said.